Not only is DLC the place for Alpha Delta Pi spirit and chapter pride, it is also a place where sisters learn to use their voices. Speaking up is the way to affect change, and the only way to grow as a leader. Asking questions, participating in discussion, and communicating ideas is the way that things get done. DLC provided a great learning environment for exactly that and the perfect place to begin working on leadership skills. Sisterhood is actions. I saw our sisterhood lived out time and again this weekend as bonding occurred within my own chapter, as well as with sisters from chapters I’d never met before. DLC is a great way to network with sisters from chapters both near and far, as well as grow closer to the sisters you already know and love. Whether Chapter Advisors, Province Directors, or anyone in between, our volunteers care about us. It was nice to finally meet some of the people I had thus far only corresponded with via email, especially to find that they really care about each chapter individually and feel invested in their success! Communication is key, and volunteers are never too far out of reach to lend a helping hand! The Alpha Delta Pi Foundation provides scholarships, grants, works against sexual assault, provides support to sisters in need, and so much more. The best part is, every sister can be a part of actively helping support the Alpha Delta Pi Foundation by purchasing a DLC diamond, Violet Circle dangle, joining the Weslyan Society, or just donating. 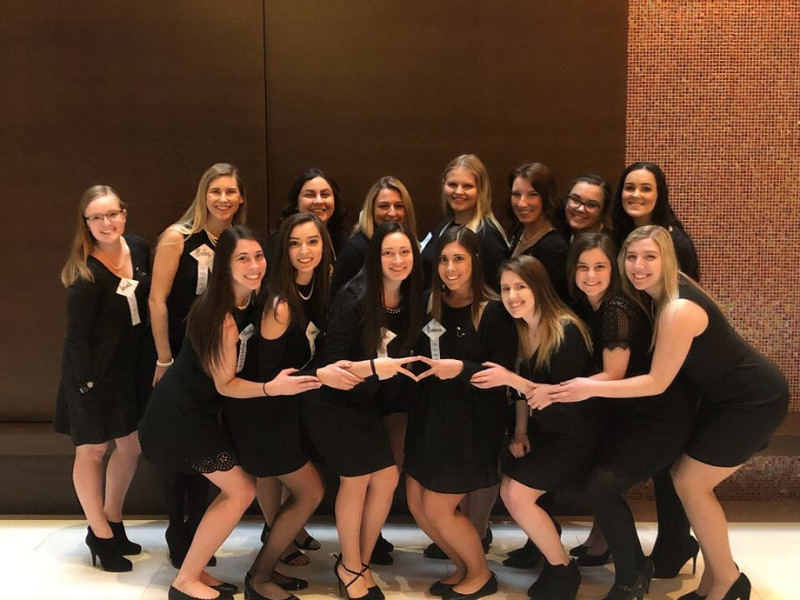 Whether it was sisters teaming up to figure out the hotel wifi password, navigating the confusing hallways to find the right conference room, or sharing ideas to take back to their chapters, all the sisters from Delta Pi to Gamma Theta lived for each other at DLC. In small ways, and in big, it was great to see our open motto lived out all weekend. In one way or another, the sisterhood of Alpha Delta Pi is the reason all of us joined this sorority in the first place. To see the same sisterhood exhibited at all of the chapters in the district all in one place at the same time was incredible. It can do a real number on a sister to draw her back to the start and make her remember why she decided to join this beautiful sisterhood in the first place.